Protestors in Mui Wo today came face to face with the government’s point man on Lantau development for the first time since the release of the controversial LanDAC report. 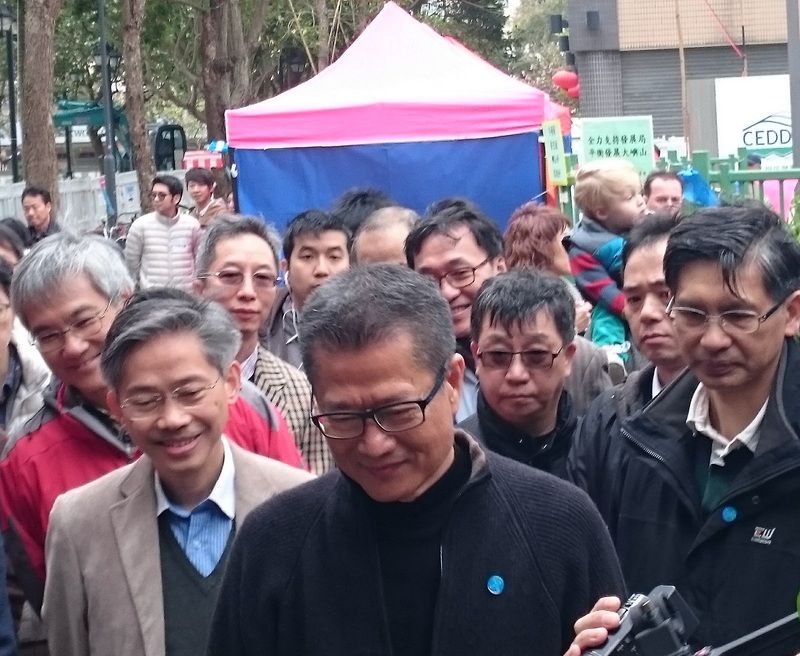 About 50 people marched through the streets of Mui Wo to confront Development Secretary Paul Chan as he opened the new children’s playground next to the wet market. 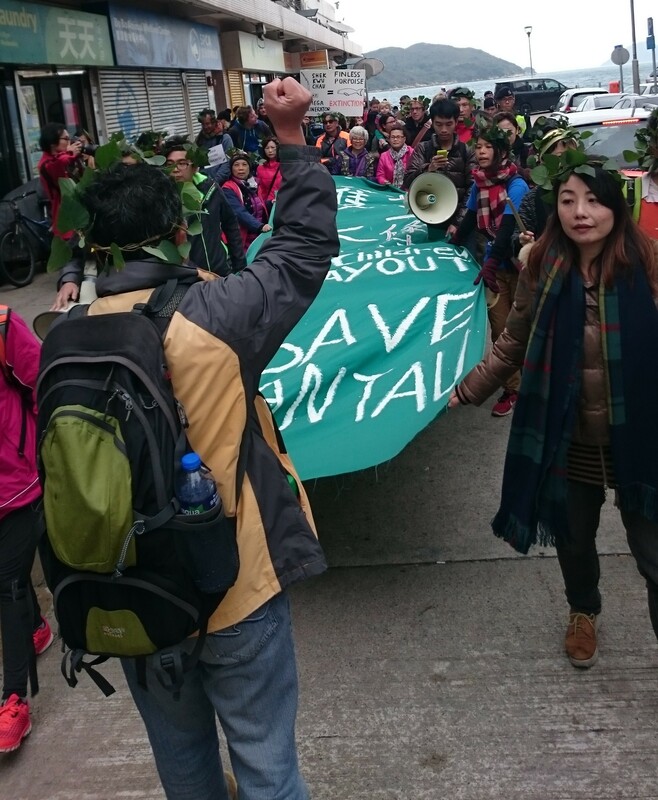 The demonstrators called on the government to withdraw the LanDAC report and to keep the ban on outside vehicles from entering South Lantau. While the playground ceremony was officially described a “public engagement exercise,” protesters were not admitted to the event. 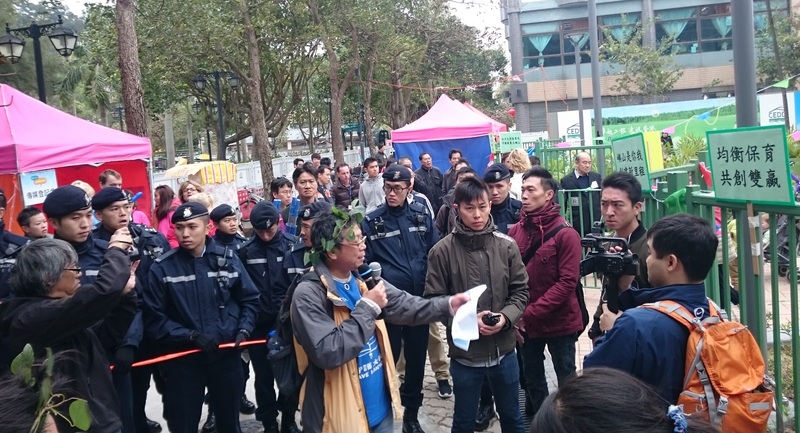 Chan spoke briefly to the protestors, telling them that “Lantau will not change” despite the major development plans set out by LanDAC and endorsed the government. These include tourist developments at as many as ten South Lantau sites and the creation of a new city hub of up to a million people on an artificial island near Mui Wo. Earlier, Chan told the opening ceremony that “outsiders do not need to be concerned that development of Lantau will damage the local rural lifestyle, because under the report proposals, most parts of South Lantau are set aside for conservation purposes,” RTHK reported. The government has said it will conduct a public consultation over the radical development plan, which repudiates earlier planning guidelines that ruled out large-scale development on the island. Details of the consultation have yet to be announced. The last consultation over a major Lantau development was over the Shek Kwu Chau incinerator, in which the government staged several public Q&A sessions in 2011-12 without making a a single change to any aspect of the project. 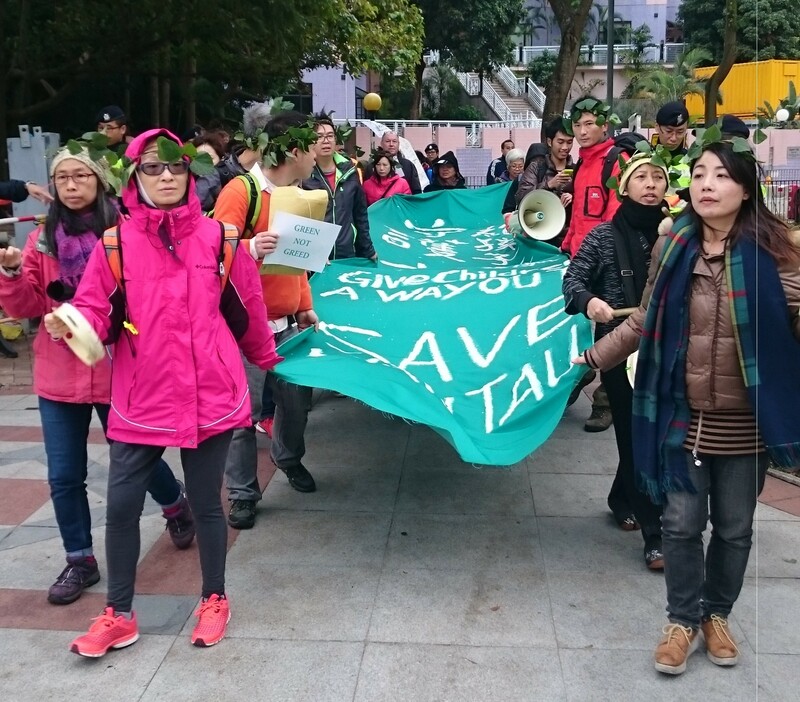 Eddie Tse, from the Save Lantau Alliance, which organised the demonstration, said the next step would be to organise events to educate the local community about the development plans. “Many people don’t know anything about what is in the report,” he said.